Sorry I've been slacking on postings. I recently started going back to school and it's kicking my behind! I'm struggling to find crafty time for myself these days. 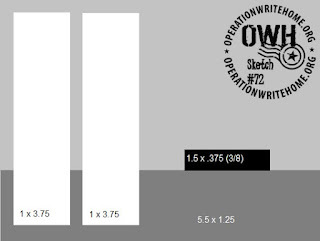 I recently started making cards for a cause that is near and dear to my heart, Operation Write Home (OWH). As most of my readers know, I have a son who is in the Army and is deployed to Afghanistan, so I am so grateful for this organization. If you haven't heard of them, go check out their site here. Their mission is: "Supporting our nation's armed forces by sending blank handmade greeting cards to write home on, as well as cards of gratitude to encourage them." I am kind of slow at card making right now, because I haven't been doing it long, but I hope to get better and faster at it so I can send LOTS of these off to the shippers at OWH. I started off using a card map from the OWH Stars & Stamps bloggers circle to help get my creativity flowing. As you can tell though, I changed it up a bit, but these card maps are great to get you thinking about where and how you want to start, especially if you are a newbie card-maker like me! P.S. Don't forget to check out my 100 Follower Blog Candy! Click HERE or look on my sidebar. More followers would make me so happy, so tell your friends! Today I am posting a layout that I made about a month ago, but am just now getting around to posting here on my blog. I was going to enter this layout in a challenge, but ended up finishing it late and didn't make the challenge. I was pleased with how it turned out and since it honors our sweet beloved and departed dog Cookie and her lifelong companion, our Daughter "B", I decided to post it anyway and see what you all think about it. These pictures were taken a little over a year ago, right before our dog Cookie passed away at 16 years old! Our Daughter was home from College on a visit and luckily got to spend some time with her before she passed. These were the very last photos taken of her and I was so happy that "B" was with her in the pictures, because when we got Cookie as a pup, "B" was only 7 years old and she always considered Cookie her dog. We sure do miss Cookie, she was a sweetheart and a true friend to all of our Children while they were growing up! I Googled "Pet Poems" to find the poem shown, but I cannot remember now what site it was, but it did say the author was anonymous. You can click on the last picture if you want to be able to read the poem better, the picture should enlarge for you. I apologize for not having a list of materials used for this project or a picture of the materials used. I usually like to do that, but at the time I was making this layout, I was in a big hurry, because I was trying to make a deadline (which I didn't!) so I forgot to write anything down or take any pictures of the supplies. If you want to know any info about what I used or any techniques used, just ask, I might be able to "recall" certain things...even in my old age! LOL! Really Reasonable Ribbon's Summer Blog Candy Giveaway! Just had to let you know about this awesome giveaway going on at Really Reasonable Ribbon. 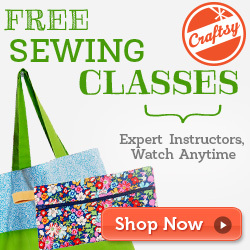 One of my fave craft sites! They have tons of awesome ribbon that is perfect for all your card and layout projects and the best part is, their prices and selection are great! Just click on the photo below to go to the posting on their site which will tell you all about the cool giveaway! Hurry over to their blog site to enter this great giveaway! You have until Friday June 17th at 12:59 PM EDT to enter. 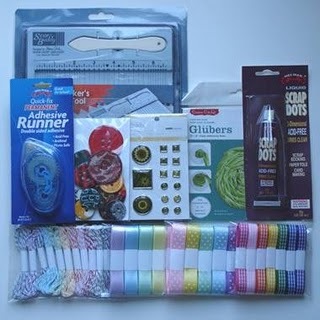 If you want to see some of the awesome ribbon they carry, check out my craft haul video from a couple of months ago by clicking here or on the video below. While you're at it...don't forget to enter my 100 follower giveaway also!